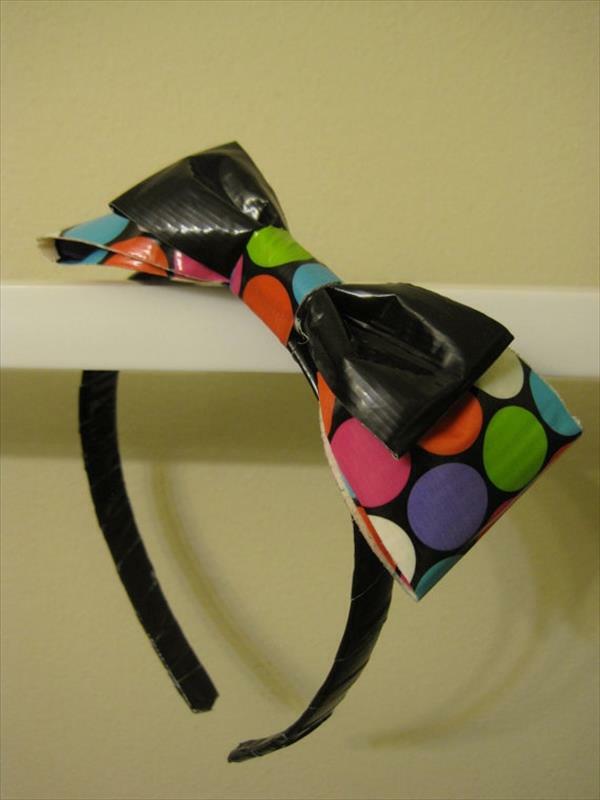 Leave a colorful trail of butterfly duct tape bows around the house. 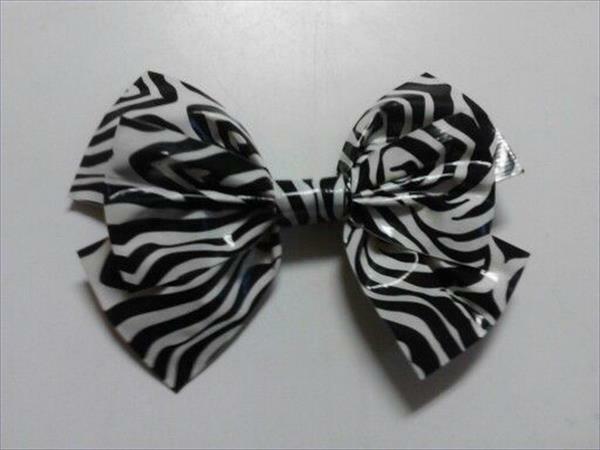 Do it yourself duct tape bows are so simple a child can make them and they can be plain, striped or spotted. 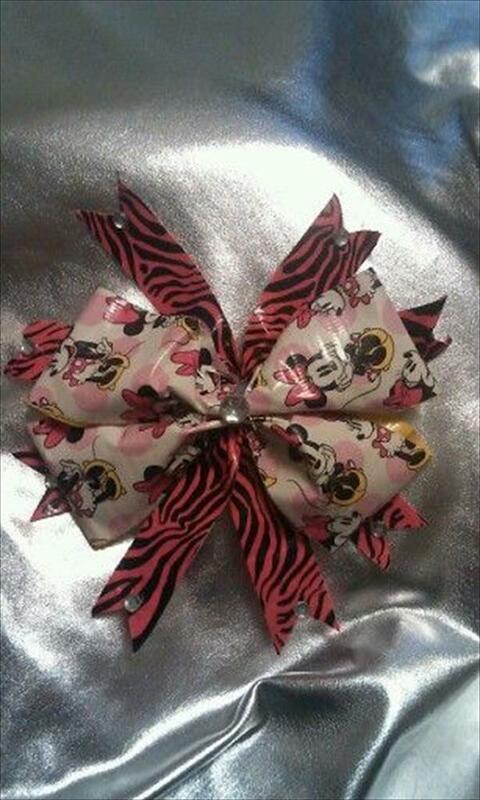 Teach your little ones the trick of these little pinch bows that will save you time. 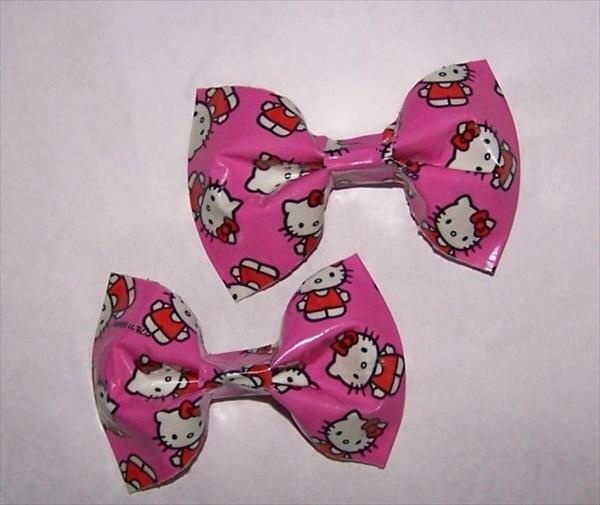 Adorn your little girl’s hair with do it yourself duct tape bows by sticking them on their hair bands. 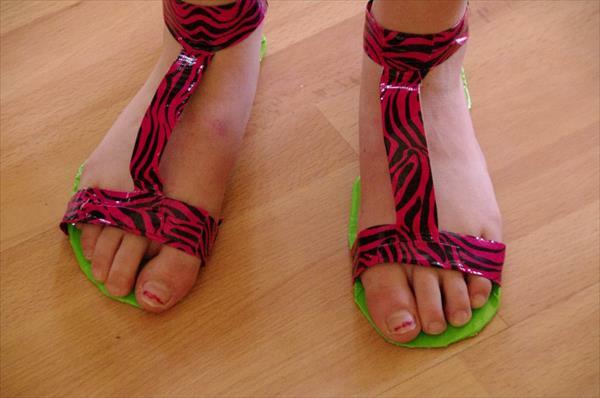 Incorporate them into their rubber bands, and hairpins. Make them different sizes and colors. You will never have trouble trying to get your little one to tie her hair again. 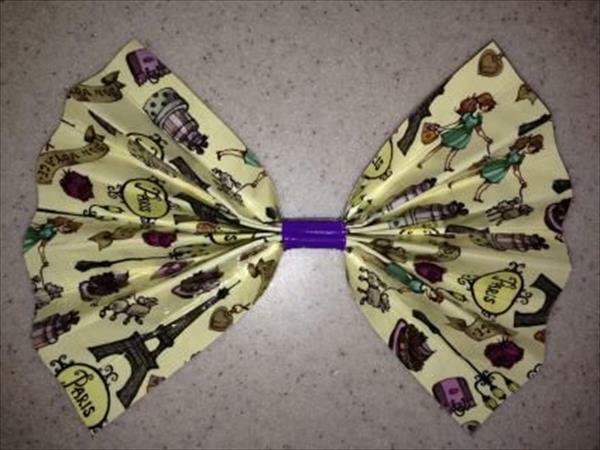 Get your little girls to make them for their dolls and stuffed animals. 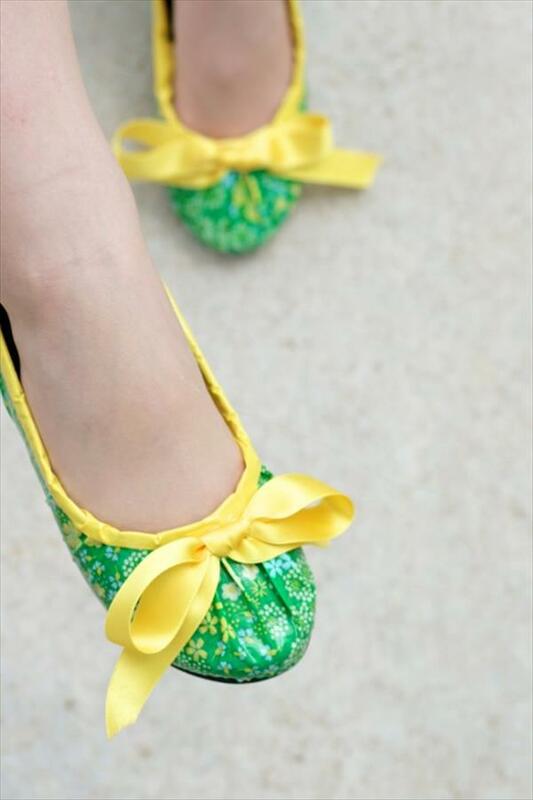 These can also be stuck on shoes or slippers and you would not have to worry about their falling off, as these are sturdy little bows. 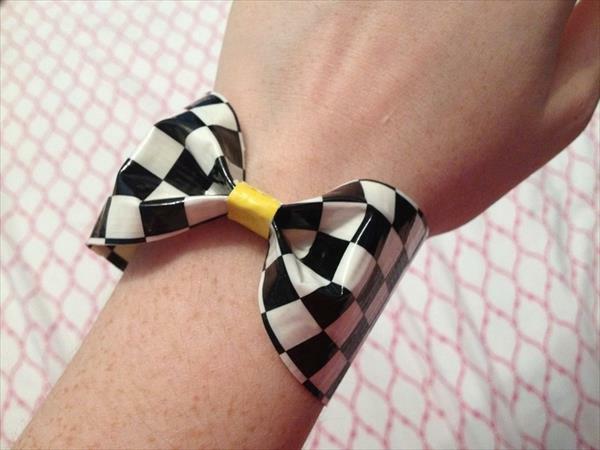 Make a bow bracelet and write their name with each letter in a different bow. Hang a couple from your keychain or decorate your paper folders and diaries to give it an individual look. 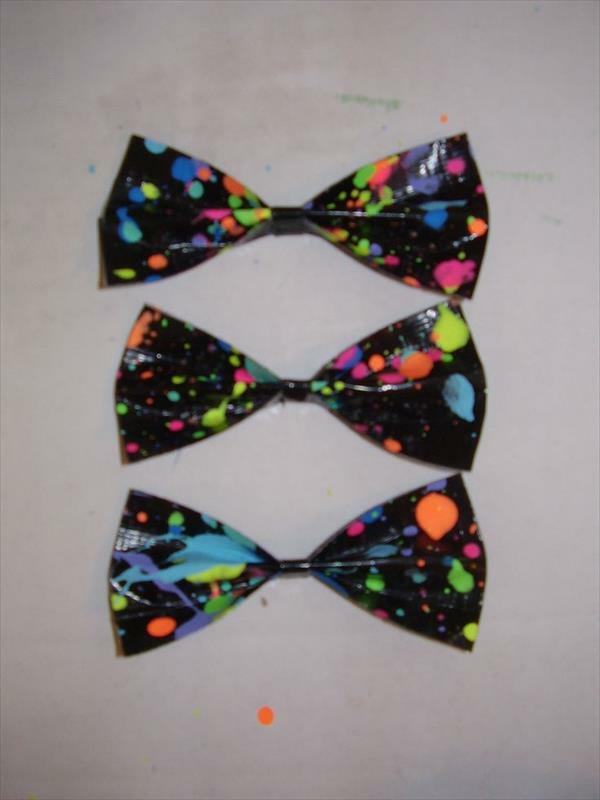 Make a whole bunch of DIY duct tape bows of all prints, set up a stall, and make some pocket money. Put a bunch on your book bag, cookie jars or candy boxes. 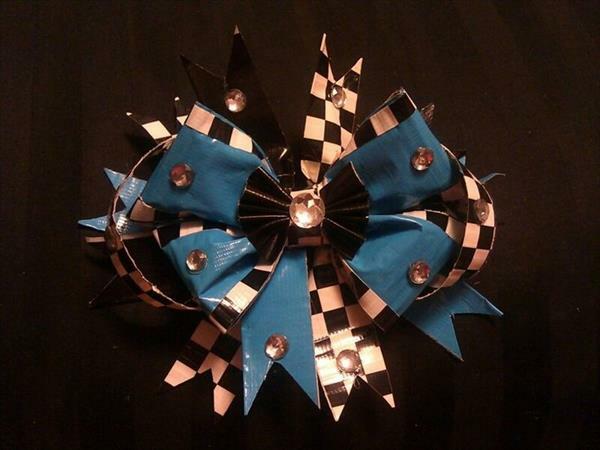 Make bow flowers or smiley flowers. Use duct tape of different cartoon characters. Decorate everything with these pinches of color to make delightful little embellishments to your articles.